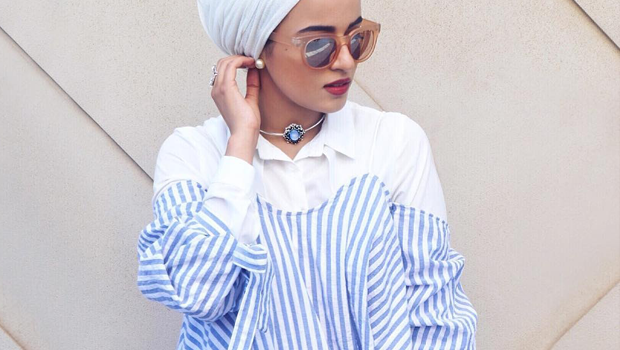 Girls, Here’s How You Can Wear Off-the-Shoulder Tops The “Halal” Way! Fashion trends keep changing from time to time. What was in fashion last year would not be worn this year and would be seen as gone out of trend. For example, jumpsuits and one-shoulder cuts were in fashion last year and this year, we have cold shoulders and off-the-shoulder tops here. In Pakistan, some of the ladies wear hijabs for their own reasons (religious or personal) and some don’t. Girls who wear hijab might feel that they can not wear most of the trending fashionable clothes as they might be seen as hypocritical- wearing hijab on one hand and wearing revealing clothes on the other. For this reason, we have found some hacks for our beautiful girls who wear hijab so that they are also able to follow the latest fashion trends. Follow these dos and don’ts to have a cool summery look. So, ladies who want to keep things modest and halal, well, this is for you! Now that you have picked an off the shoulder top to wear, consider its silhouettes carefully. Get comfortable with it and think of how you can layer it. The pattern should be layer-friendly which means not to sharp or busy. For example, straight horizontal or vertical stripes would go perfectly well with a plain layering. Also, be sure it goes well with your hijab. 2. Layering should only be done with shirts only! This is the key here. Layer your off the shoulder tops with shirts. The best choice would be plain whites, stripes or polka dot shirts. Go with white when the top is patterned, and choose a striped or a polka dot one if the top is plain. You will end up creating an interesting contrast with your overall hijab look. The shirt you are going to pick should fit you perfectly well, not too loose, not too tight for a neat look. A skinny denim can never disappoint. You can wear it with any top and look good. Pair up off the shoulder top with skinny jeans whether tucking it in or leaving it out. Be sure to see if your jeans are black or blue though and whether it goes with the shirt and top combination. We have all heard that less is more but, of course, no one wants a plain look now, do they? Pick the right accessories that will match your hijab look. For instance, if your outfit is plain, then go for long necklaces, pendants, and charms. Otherwise, you can skip the jewelry, and complete your hijab look with a pair of fancy shoes or your favorite mini-bag. So, willing to give it a try? Let us know in the comments below.